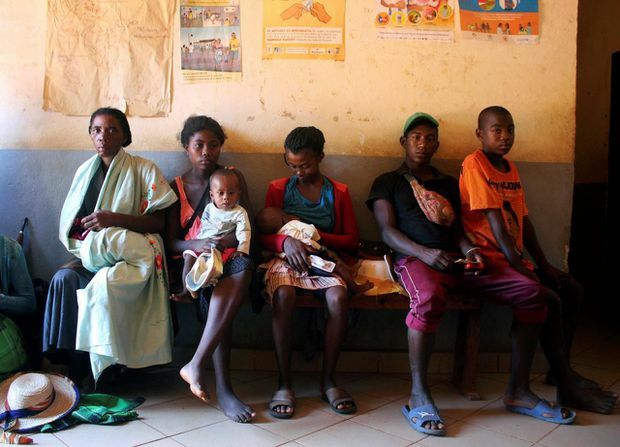 Mothers wait to have their babies vaccinated against measles at a health-care centre in Larintsena, Madagascar. Only 58 per cent of people on Madagascar’s main island have been vaccinated against measles, a major factor in the outbreak’s spread. With measles one of the most infectious diseases, immunization rates need to be 90% to 95% or higher to prevent outbreaks. “I’m so scared for him because in the village everyone says it kills babies,” Ms. Razaijafisoa said. “Malnutrition is the bed of measles, ” Dr. Sodjinou said. Ms. Razaijafisoa’s baby weighs just five kilograms. The girl had diarrhea and vomiting and couldn’t eat, Ms. Hantriniaina said, adding that she narrowly survived. Ms. Ravonjisoa said she blames herself, “but I did not imagine for one moment that he was going to die.” At the hospital, a doctor confirmed that her baby died of measles-related respiratory complications. “But immunization is not the only strategy for the response to this epidemic. We still need resources for care, monitoring and social mobilization,” said Dr. Sodjinou, the WHO epidemiologist.